You have heard about the beauty of passive income and you want in on it but you don’t have enough money? We've talk about passive income ideas before... but some of those are limited by the amount of money you have. Not to worry. 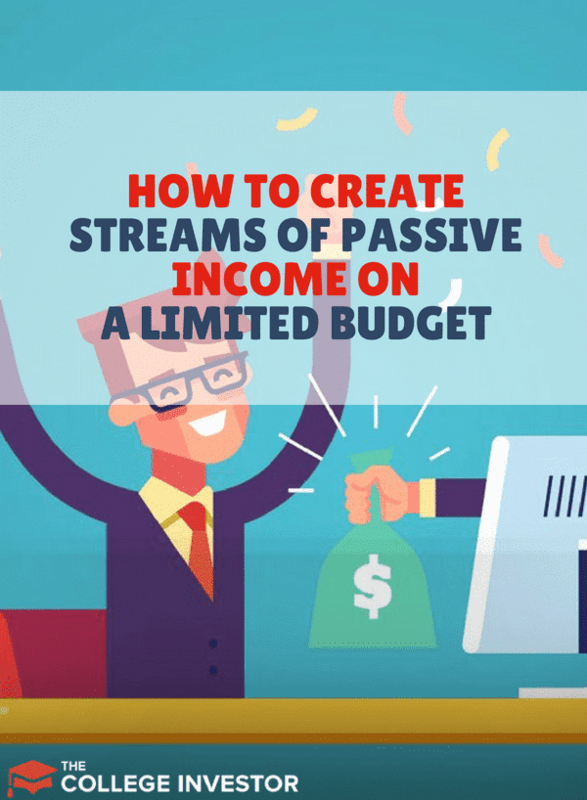 In this post, we’ll go over seven ways to create passive income streams even if you have a limited budget. The amount of passive income you create might not be a lot, but you have to start somewhere! If you’re entirely new to the term, it simply means you set up an income stream once and it makes money for you for a long time whether you work on that income stream or not. The reality of a passive income stream is that you will have to do some work up front. Once that upfront work is done and you have the right systems in place, the payoffs last for a long time. Let’s delve into how you can start creating passive income for yourself even if you have a limited budget. The more you have to pay out of your income to creditors, the more money you’re losing. Saving your money by becoming debt-free is a simple passive way of making income that most people never talk about or consider. Work hard to get rid of student loan debt, car loans, mortgages, and your credit cards, and all of a sudden, you will notice that you have extra money that you can now put toward creating and building other passive income streams. An easy passive income stream to get started with when you’re on a limited budget is to save in a high-yield savings account. This can be in a money market account or in a certificate of deposit account depending on your goals. If you just want our pick for the best money market account, we recommend CIT Bank. They currently offer one of the best interest rates available in a money market account. Check out CIT Bank here. What’s the difference between a money market account and a CD account? The difference is that while both are considered short-term savings accounts, with a CD account, the interest rate does not change during the time you have the money in the account. In a money market account, the interest rate is variable. Secondly, while you cannot write checks or access your money by ATM when you have money in a CD account, you can do that with a money market account. Money market accounts typically require larger initial deposits than CD accounts do. Because CD accounts have fixed terms, you have to leave your money in the account until the term is over. If you withdraw your money early, you will be charged a penalty. Money market accounts on the other hand don’t have a penalty, but you are limited in how many times you can withdraw money. While both of these are great, if your budget is limited, I highly recommend a CD account over a money market account. Cash dividends are stocks that pay you cash every three to four months while investing in the stock. Companies you invest in are able to pay these cash dividends if they make profit during a given quarter. Cash dividends can become a great source of income for you and your family because your money is essentially working for you. Although you cannot predict if a company is going to make a profit in a particular quarter or not, it is good to do your research before you pick the stocks you want to make dividends from. There are lot's of places that you can invest for free and start getting paid dividends. Our favorite is M1 Finance - you can open an account and buy stocks and ETFs commission free. You could even put together a whole dividend portfolio and start earning right away - even with just a little bit of money. Check out our full list of places to get started investing for free here. Tools like Airbnb have now made it possible for people to become short-term “landlords.” If you have a house and there is an extra room, you could list it on Airbnb and start earning money from your guests. The beauty of this is that since most guests stay for a short while, you could be making much more money for that one room than you would if you were providing it to one person who pays you once per month. If you don’t want to use Airbnb, platforms like Craigslist also allow you to list such short-term rentals and get paid for it. Your biggest role in this stream of income is that you will have to keep the room clean for guests. Check it out and consider listing your property on AirBNB and start earning money when you get your place booked. Sign up your place today. Apps like Ibotta and Ebates are well known for helping you make cash back on items you already buy. The cash-back amounts seem small at first until you see them adding up! Mobee: Make money as a secret shopper when you go on your shopping trips. Make money when you accumulate points. You can also get cash-back rewards when you use certain debit/credit cards. Books have long since been a money-generating venture if you know how to market well and you have an important message to share. Marketplaces like Amazon and Nook make it possible for you to upload and sell books with a few clicks. Are you a subject matter expert? You can create video courses for platforms like Udemy and Skillshare and make money for your knowledge this way as well. If you don’t mind your car being covered with ads, you can make money renting the exterior of your car to companies as ad space. You will have to meet requirements like having a current/clean driver’s license and live in a high-traffic urban area. You will also have to make sure that this is okay with your insurance company. Some car insurance companies will invalidate your insurance if they find out you’re using your car for advertising. Another word of caution: never, ever pay to have your car wrapped. If anything at all, you’re doing them a favor — not the other way around. Once you meet these criteria, you can work with companies that act as go-betweens for drivers and companies who want to advertise. What’s nice about this model is that you don’t need an upfront investment: you are using something you own already to generate money. The most reliable company I found in my research for making money this way was Carvertise. You are not without options to create passive income if you are on a limited budget right now. 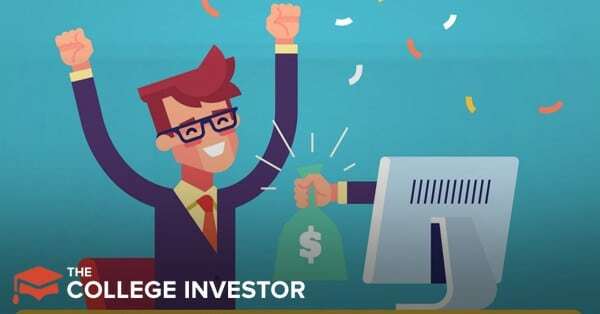 With a little creativity and determination, you can make decent money with the passive income methods we’ve talked about above. Have you tried any of these? How did they work for you? Which of these intrigue you? Your thoughts and comments are welcome below.